The Beer Cooler reinvented as an internal bottle koozie! Finally you can enjoy your drinks without having them warm up on you in a matter of minutes. 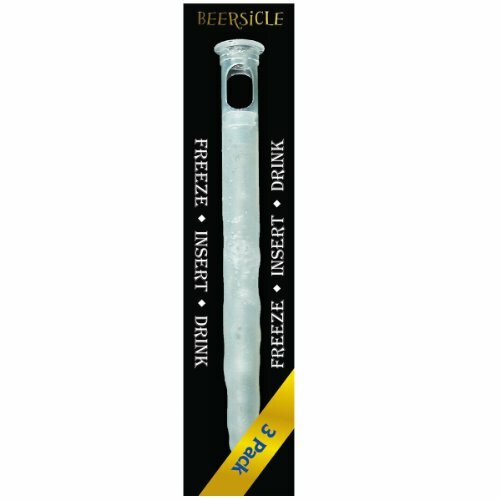 This novelty gadget gift, The ICE Block Beer Cooler is the best way to keep your drinks cold until the last sip! One of last year's top gifts for men and gifts for dad. 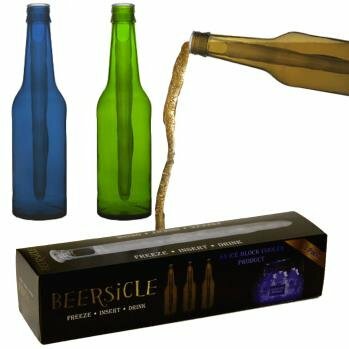 The best thing is that you can drink from our beer bottle cooler just like you would from any opened beer bottle. Your beer cooler drink chiller will cool your drinks from the inside to keep every sip as cold as the 1st. Just throw it in the freezer to charge it and then insert it into your favorite beer or pop beverage to enjoy. The ICE Block Beer Cooler fits most major beer bottles like Budweiser and Miller. This beer bottle koozie cooler makes a wonderful gift idea for men, gifts for women, and gifts ideas for guys. Buy two to create a six pack beer bottle cooler collection. Also look for our other great products of the ICE Block Cooler and ANIPALS purses.